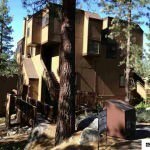 110 Spooner #B Stateline NV offered at $385,000Tastefully furnished Lake Village Townhome. Newly Remodeled; New Everything; stainless steel appliances, leather furniture, gas fireplace, window coverings, flooring. Bright and sunny with 2 master suites. Successful vacation rental with repeat renters. Lake Village offers an outstanding amenity package with pool, tennis courts, giant spa, sauna, fire pit, game/party room, and paved bike trails. Close to NV Beach, casinos and skiing. 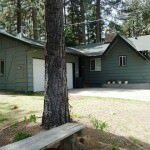 Great affordable opportunity to own in NV Lake Tahoe!Continue Reading! 1097 Deer Cliff Zephyr Cove NV offered at $598,900Darling one-story Skyland home on large corner lot. 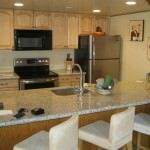 The kitchen offers granite and stainless steel appliances. The living room, dining room and kitchen have a nice open floor plan which opens to the large back deck. The master bedroom has a nice remodeled bathroom and a large walk-in closet. The sellers added additional insulation and upgraded most of the windows to triple-pane. There's a newer roof, furnace...Continue Reading!